Sam Patten was given 36 months probation and a $5,000 fine. Sam Patten, a veteran Republican lobbyist who pleaded guilty to illegally funneling foreign money into the Trump inaugural fund as part of a case initiated by special counsel Robert Mueller, avoided prison at sentencing on Friday in Washington, D.C.
Patten, 47, pleaded guilty in August for acting as an "agent of a foreign principal … without registering under the Department of Justice's Foreign Agent Registration Act,” related to his work on behalf of a Ukrainian political party. 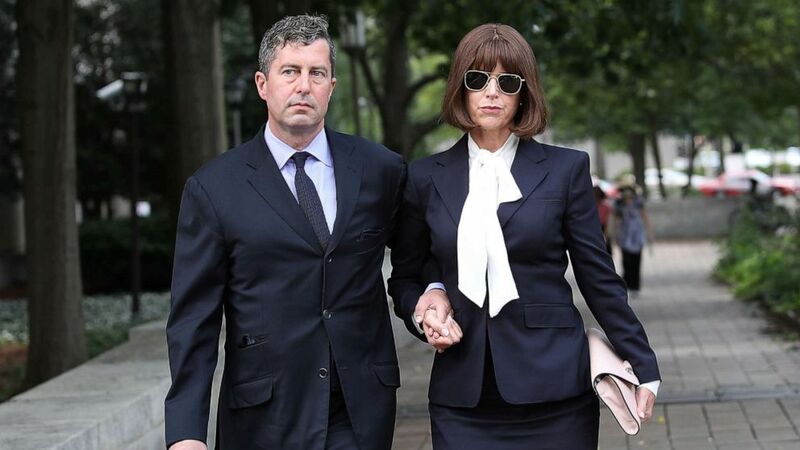 (Win McNamee/Getty Images, FILE) Sam Patten, a former associate of Paul Manafort, leaves U.S. District Court, Aug. 31, 2018, in Washington, DC. As part of his plea deal, Patten acknowledged accepting $50,000 to secure tickets to President Donald Trump’s inauguration in January 2017 for a Ukrainian client through a "straw" purchaser, circumventing rules about the inauguration committee accepting money from foreigners.